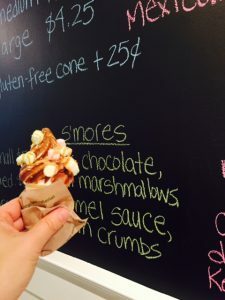 With it’s focus on dipping ice cream cones into delicious chocolates, owners Robyn Lulleyman and Tanya Shklanka have created a must visit destination for this wonderful treat. Made with local, Birchwood Dairy milk, their soft serve ice cream is dipped in your choice of 9 different RFA certified chocolates. Top it off by having them decorate each with nuts, candies, marshmallows, sprinkles, and more. 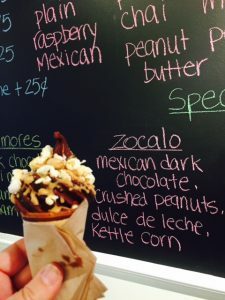 I have had the yummy S’mores soft ice cream cone dipped in milk chocolate, topped with marshmallows, caramel sauce, and graham crumbs; as well as the Zocalo dipped Mexican dark chocolate, topped with crushed peanuts. Dulce de Leche, kettle corn. 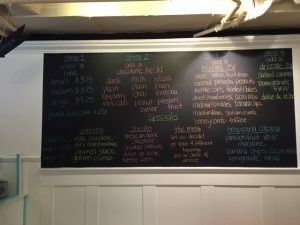 Dip features a vanilla and a chocolate soft serve and prices range from $3.25 upwards for a plain dip cone and higher for a fully decorated cone. 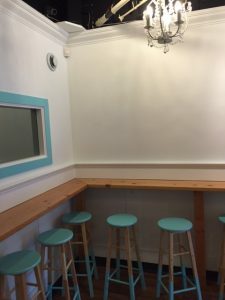 This is a great ice cream shop to enjoy some delicious soft serve with a multitude of options of toppings.